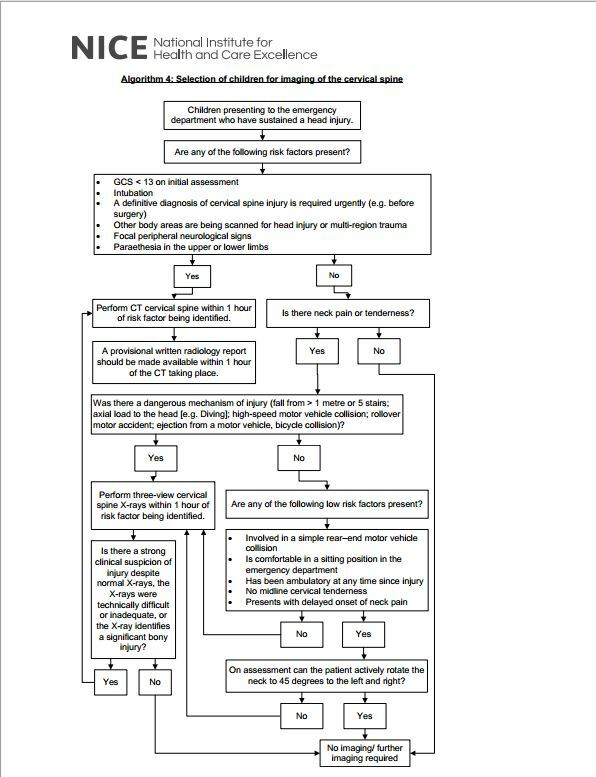 The following head injury imaging guideline is from the National Institute for Health and Care Excellence, 2014. 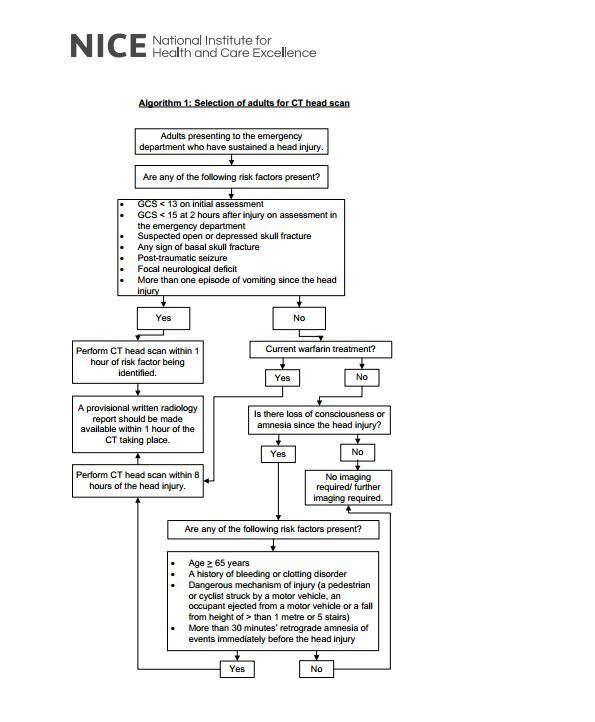 ‘Head injury’, NICE clinical guideline 176. 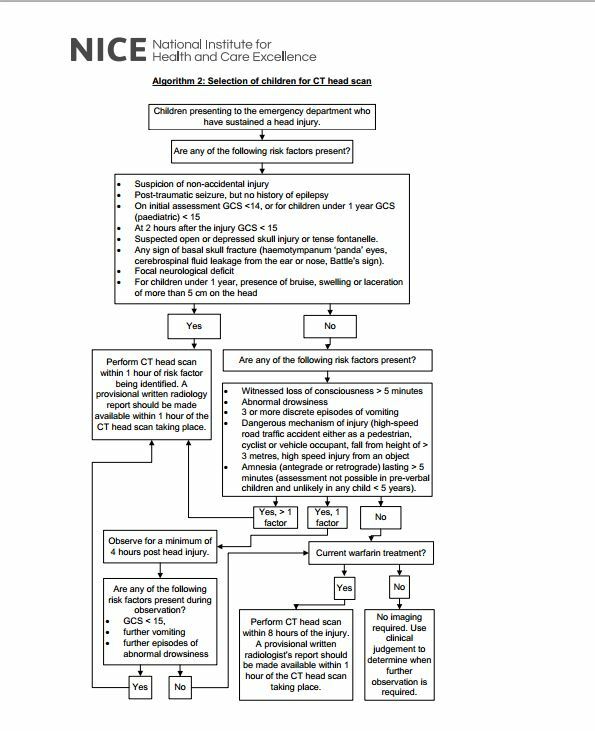 London: National Clinical Guideline Centre. 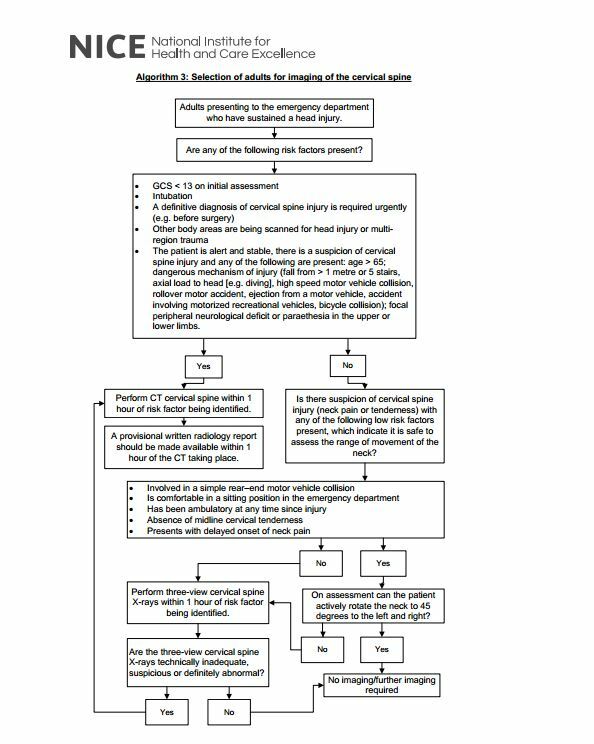 This entry was posted in Emergency Medicine, Guidelines, Head Injury, Medical Imaging, Neck Injury, Neurology, Neurosurgery, Pediatric Emergency Medicine, Pediatrics. Bookmark the permalink.